Le Dixieband, Performer - Jelly Roll Morton, Composer Copyright : Productions Le Lab Inc. Le Dixieband, Performer - Burt Kalmar, Composer - Harry Ruby, Composer - Oscar Hammerstein, Composer Copyright : Productions Le Lab Inc. Le Dixieband, Performer - Traditional, Composer Copyright : Productions Le Lab Inc. Le Dixieband, Performer - William H. Butler, Composer Copyright : Productions Le Lab Inc. Le Dixieband, Performer - Jabbo Smith, Composer Copyright : Productions Le Lab Inc. Le Dixieband, Performer - Fats Waller, Composer Copyright : Productions Le Lab Inc. Le Dixieband, Performer - D.J. La Rocca, Composer Copyright : Productions Le Lab Inc. Le Dixieband, Performer - Paul Mares, Composer - Ben Pollack, Composer - Leon Roppolo, Composer - Mel Stitzel, Composer - George Brunies, Composer Copyright : Productions Le Lab Inc. Le Dixieband, Performer - Louis Armstrong, Composer Copyright : Productions Le Lab Inc. Le Dixieband, Performer - Charlie Chaplin, Composer - Geoffrey Parsons, Composer - John Turner, Composer Copyright : Productions Le Lab Inc. Le Dixieband, Performer - Henry Creamer, Composer Copyright : Productions Le Lab Inc. 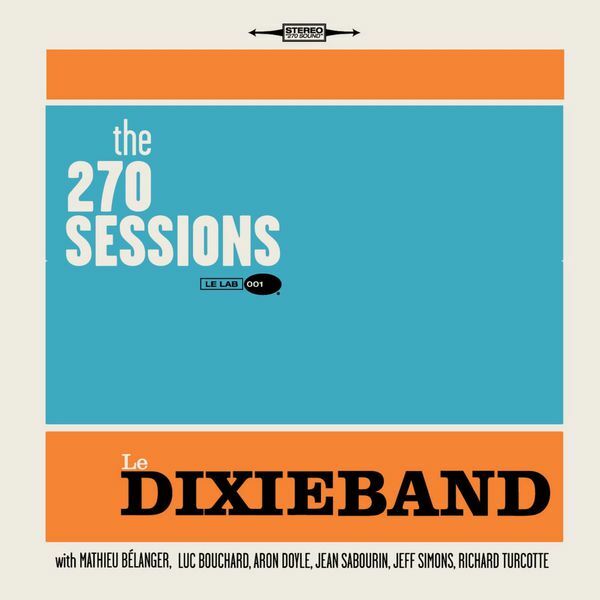 Le Dixieband, Performer - Charles L. Cooke, Composer Copyright : Productions Le Lab Inc. Le Dixieband, Performer - André Hornez Henri Betti, Composer Copyright : Productions Le Lab Inc.
© Productions Le Lab Inc.